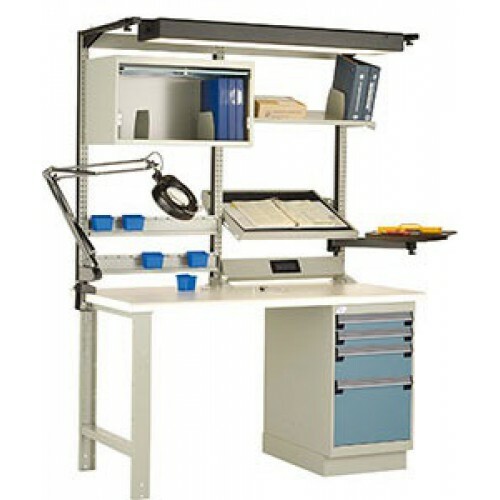 Rousseau Electronics Work Station, LC3002C Work Bench system offers a multitude of possible layouts, thanks to its numerous accessories which allow you to create a work center that responds to your exact needs. Whether you are installing a workbench for a production or assembly line, or a custom layout for your machine tool workshop, our line of products offers you an impressive selection of accessories that are sure to meet and surpass your expectations. From shipping and receiving, to your foreman’s office, the quality and variety of our product will more than satisfy you. Moreover, the Rousseau multi-purpose stand presents an immense advantage by being so easy to reconfigure, without tools. 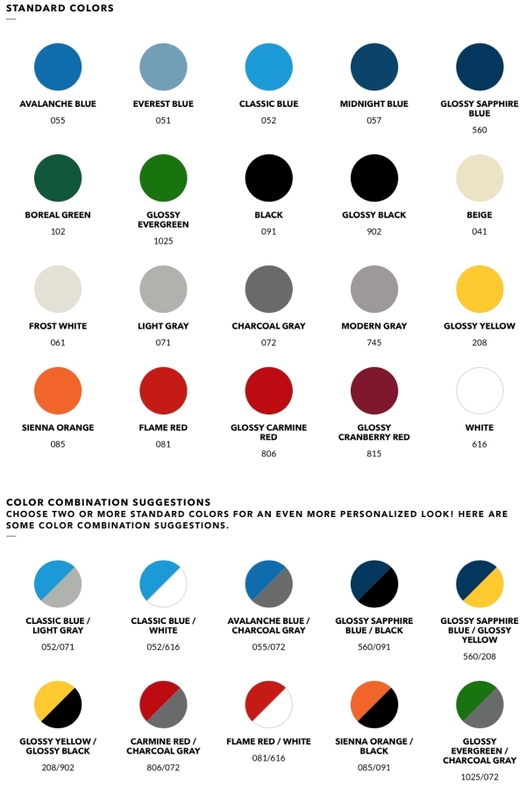 It can be changed according to your evolving needs by simply adding accessories. Our standard lead time is 10 to 15 working days. Size: 60" wide x 30" deep x 80" high Rousseau Workbench Components ♦ (1) WM Unit Frame ♦ (2) Tiltable Shelf (28"W X 12"D) ♦ (1) 28" Power Outlet Channel with 3 outlets ♦ (1) Heavy-duty articulating arm ♦ (1) Monitor Tray with Double Articulating Arm ♦ (1) Tiltable pan ♦ (1) Retractable door ♦ (1) Cantilever overhead supports ♦ (7) Partial Divider for shelf (7 1/8"P) ♦ (1) Open leg ♦ (2) Compact "L" Drawer (18"W x 21"D x 3"H) ♦ (1) Compact "L" Drawer (18"W x 21"D x 6"H) ♦ (1) Compact "L" Drawer (18"W x 21"D x 12"H) ♦ (1) Cabinet base (18"W X 21"D X 4"H) ♦ (1) Dissipative Top (60"W X 30"D) ♦ (1) Grounding block ♦ (1) Ground wrist strap ♦ (1) Lamp with magnifier and fluorescent light ♦ (1) Grounding Cord ♦ 100% access to drawer contents. ♦ 100 lb capacity per drawer. ♦ Drawers on roller bearing slide system. ♦ "Inverse hat" shaped top of leg for added strength. ♦ Leg equipped with knock-outs to allow installation of electrical outlets. ♦ Top thickness: 1 3/4" (included in the height). Rousseau Electronics Work Station, LC3002C Work Bench added to your Quote list!